As I approached the classroom that first day, I peered in at the 20 slouching bodies, then stared at the platform, a step up from the classroom, on which there sat a battered wooden instructor’s desk. If I slip on that step, I told myself, I’ll just say, “Sorry, wrong class,” turn around and walk out, and my teaching career will be over. But my balance didn’t fail me, and I got through that first session without looking too much the fool. For most of that semester, though, I carried, together with my briefcase, the certain conviction that there would come a day when a combination of question-answer-riposte would expose me for the naked emperor that I truly was. It was time’s passing, not some burst of insight, that eased my fears. Still, at the start of every term I’m as nervous as a host who wonders whether anyone will come to his party. It’s then that I revisit in a dream the image of myself gazing into that foreboding classroom. 2. The standard way doctors are taught their craft is described as “watch one, do one, teach one.” This seems frighteningly fast, but most academics don’t even get as much practice time as interns before we’re called upon to operate on our students. Having observed people teach all our lives, professors-to-be are supposed to know instinctively what to do in the classroom. We’re tossed in this roiling sea with no Baywatch lifeguard around, left to sink or swim among the circling students. Small wonder, then, that the worst practices of the profession get passed along from one generation of professors to the next. 3. Professors are forever complaining to one another about those days when “I didn’t get any work done.” What the lament really means is that no research or writing got done, since in this calculation, teaching doesn’t count as work. 4. When a professor looks up from the text midway through delivering a lecture, the assembled students will likely be busily taking notes. “A happy sight,” the professor thinks. “I teach and they learn.” But in reality professors aren’t writing on the tabulae rasae of their students’ minds. After delivering a lecture about which I felt especially pleased, I once asked some of my students if I could look at their notebooks, and they obliged. For all the variations that made their way into those journals – let alone the further variations that would seep into their minds as they later tried to make sense of those notes – I might as well have been holding up Rorschach ink blots for their interpretation. 5. When preparing a course, professors focus on developing its content, on producing lectures and reading lists and exams. Though this point is so obvious as to seem axiomatic, students approach their courses quite differently. They care about the messenger as well as the message, the subtext as well as the text. They take the professor, with all the warts and foibles, as well as the course. Professors deliver lectures, hold office hours, supervise theses. Meanwhile, students fabricate character studies, hang onto the inadvertent asides, the jokes that slip out, the impromptu examples, because this is the raw material from which they can convert presentations of ideas into presentations of self. In doing so, students invite themselves not just to their professors’ lectures but also into their lives. 6. Life in classrooms is molded by students’ inclination to talk or to be silent, their enthusiasm or indifference or, in the case of 8 a.m. and Friday classes, their comatoseness. It’s shaped as well by the minute and frequent interchanges among them, as subtle and controlling as a coach’s hand signals: the murmurous hisses, the nods that pass judgment. 7. In a classic experiment, students were instructed to nod approvingly whenever their instructor – the unknowing subject – stepped back, while nodding disapprovingly whenever the instructor stepped forward. By the end of the hour, the professor found himself cowering in a comer, entirely unaware of how he’d got there. Students in a second experiment were told to give the nod whenever the professor put his index finger to his lips. Barely 50 minutes later at the end of the class, that index finger was swinging back. and forth as regularly as a metronome. This seemed an interesting tale, though of no special relevance, until that time a few years back during the last class of the term, when I made an offhand comment about some policy puzzle. “Could you repeat that,” a student piped up in seeming innocence. When I did so, a dozen students rose in unison, came to the front of the room and handed me the pieces of a jigsaw puzzle called “Policy-Land” that they’d constructed for the occasion. It was like those moments on the old Groucho Marx show when the guest stumbled upon the secret word and the duck descended. The students were certain I’d speak of a puzzle, they later told me, so regularly did I use the p-word. Someone had even kept a log of the number of times I’d said it: 12 was the record for a single session. I was dumbfounded by all this. I had no idea that puzzle had such pride of place in my vocabulary, let alone that anyone was paying the slightest attention. 8. Professors don’t ponder the need to maintain authority in the classroom. We regard such matters as problems not for ourselves but for high school teachers who daily confront hormonally whacked-out adolescents whose attendance is coerced. But what’s an instructor to do when faced with the student who ostentatiously reads the sports pages during the lecture hour…or the student who won’t shut up…or the student who derides the professor as racist (or sexist or homophobic)…or the student who loudly announces: “We’re paying $25,000 to be here, so you’d better be really good.” And what of the subtler boundary tests, the students who are perpetually late or who use questions to change the subject. If ignored, such behavior can wreck a classroom. If mishandled, it can escalate into profitless confrontation. 9. Back when campuses were routinely in upheaval, I taught a seminar on utopias. The intention was to look critically at the genre, but the undergraduates, seized by utopian frenzies of their own, were in no mood for such detachment. For the first paper assignment, a compare-and-contrast exercise, one of them wrote “Blah. Blah blah, blab blah: blah. Blab!” and so forth for a couple of pages. I realized then that while I possessed all the sanctions that come with being a professor, I knew none of the words that could change this student’s mind. 10. “Write this down,” I announce during the first lecture of every course I teach, “this is my pledge: ‘If you don’t like ambiguity, you won’t like this course. '” The students may indeed write it, but most undergraduates don’t believe it. They expend a great deal of effort figuring out what I want to hear so that they can say it and get a good grade. They take notes in class and regurgitate them on their papers, they read my books and quote them back to me. When none of this gets rewarded with A’s, they complain. After all, they say, their strategy almost always works. 11. When the professors at my university were asked to rate the quality of teaching, a solid majority condemned it as below average. When asked about their own teaching, however, an even greater majority described themselves as better than average. 12. A woman in her 60s, who’d raised a family of five sons and practiced medicine for nearly half her life, decided to return to graduate school. She knew what she wanted to learn, she said, and what she didn’t. I didn’t have it in me to say to her what I’d tell undergraduates – study this because I say that it matters – and so I kept my mouth shut and watched how she behaved. This student is learning in much the same way as I’ve learned as an adult who considers his vocation as a license to be curious. But how would my teaching change, I wonder, if many of my students so seized the day. 13. I teach a seminar for policy analysts-to-be who are working on their master’s projects. In every session, they share their rough drafts and their predicaments with one another. This is psychologically hard going. All of us, students and professors alike, are more at ease presenting a well-wrought urn of our manufacture than opening up our mental construction sites. One way I’ve tried to allay these anxieties is by arranging for each session of the seminar to begin with a meal prepared by a rotating pair of students. My ambition isn’t to make sure the class is well fed for the three-hour haul, but to make the seminar participants feel easier with one another. Breaking bread is a way that people can get to know and trust their classmates, and this in turn makes it easier to invite others to our mental construction sites. Anyway, that’s the theory behind my social engineering, but the reality is more interesting. Invariably, the quality of this feeding-and-being-fed traces the larger arc of the seminar. There are times when, despite my attempts at intellectual bridge-building, students present their projects as if they were as unique as fingerprints: then, the meals turn into a competition with neither judge nor prize. During the seminar’s worst year, when almost all the participants – including, after awhile, myself – behaved as if they wanted to be elsewhere, preparing the meal, like getting involved in the seminar itself, was treated as an obligation, a bag of donuts and a couple of cartons of orange juice to be dumped on the table. A Japanese-American student tried to arrest this downward spiral by preparing a traditional Japanese repast, but to no avail. As if in silent rebuke, her classmates left the food untouched. But when students realize that their projects, however nominally different the topics sound, actually present similar kinds of analytic challenges – that just as there are maybe eight Hollywood story lines, so too are there only a handful of different kinds of policy problems – the meals, like the seminar conversations that follow, become an occasion for reciprocal appreciation. 14. When students disappoint their professors, it’s often because the professors have let themselves forget what it’s really like to be a student. 15. Student evaluations, which are supposed to make me a better teacher, mainly make me crazy. Every term there will be some students who say they relished the discussion, while others found it rambling. Some tell me they would have liked more direction – “More lectures, please” – while others want less: “Stop controlling the discussion.” Some are engaged, others put off by the assigned readings. While I regard some semesters as much more successful than others, the evaluations don’t vary nearly so widely as my perception. Perusing these comments, I feel like the character at the beginning of a John Barth novel who sits, paralyzed, on a train station bench, since every reason to move in one direction is exactly counterbalanced by a reason for going the opposite way. The results from an experiment recently carried out at Harvard leave me even more perplexed by evaluations. Undergraduates watched 10-second videos of professors lecturing; some didn’t include the sound of the instructor’s voice. When asked to rate the effectiveness of the teachers, their evaluations were virtually identical to the responses of students who actually took the professors’ course. When the same experiment was repeated with two-second clips, the rates were similarly identical. What’s my Q-factor, I wonder. 16. The first time I ever taught a large class, I was so startled to hear students applaud at term’s end that I immediately put a stop to it. At the college where I went as an undergraduate, I told the startled class, no one ever applauded. I thought I knew why. Teaching isn’t a performance; it’s shared work. Over the years, however, I’ve changed my mind. Teaching has to be partly a performance if it’s going to register – the lecturer who whispers when he wants students to attend, the ad libber doing improv, the solemnizer and the jokester. Besides, teaching is an activity so little praised that it seems harmless enough to appreciate being told in the plainest of terms that I’ve done a good job. And so, rather than an intrusion, the sound of scores of hands clapping has become a pleasure, even a mild intoxicant. Like a veteran thespian, I’ve learned to use my props to coax even reluctant hands to come together. Occasionally it occurs to me that, as is customary on the stage in Russia, I should in turn be applauding my students. Next year, perhaps. 17. Just when I start believing that I have this teaching business down pat, along comes a course where nothing seems to turn out well. I change my approach, shuffle the materials, but to no avail. After awhile, I start to dread entering the classroom, and when I inquire of students with whom I have a personal history, they tell me they too dread the class. They don’t understand what’s gone wrong and neither do I. After all, I’ve successfully taught this course before, and the, rest of my teaching is going well. None of this matters. I’m off-key, they are too, our off-nesses reinforcing one another. I realize there are no formulas in this line of work, but that doesn’t keep me from feeling miserable long after the hour is over and the students have gone. 18. Common question, asked by one colleague to another: So how did your class go today? I gave a good lecture. 19. My way of teaching is part Plato, part Oprah. I ask a question, a student raises her hand and I call on her. She thinks that she knows the answer – why else would she be raising her hand? – and usually she does have, if not the answer at least an answer. What she says sparks another thought in my head, another question. To this query, she’s likely to have a response as well, though it’s likely to come more slowly. And so this exchange goes, answers turned into questions. If I’ve designed a fruitful line of inquiry and found an engaged conversationalist, most of the class has stayed with us. Other students are raising their hands, eager to rescue or rebuke or else to change the subject. Some of them will go unacknowledged on this day, an inevitable consequence of trying to organize a conversation among a hundred souls, and they’ll walk out of the classroom frustrated that they haven’t had the chance to speak their minds. Others are visibly grateful that they’re not having this exchange with me. There’s always a bit of side chat, sometimes about the class and sometimes about tonight’s fraternity party, as students tune in and out, engaged in their own channel surfing. Eventually this conversation seems to die. Five seconds pass, maybe 10, without a response – an infinity in classroom time. Sometimes the student really has nothing more to say. Perhaps she’s wondering why she was so foolish as to speak up in the first place, and now only wishes me gone. If that’s how I read the situation, I beat a retreat. We’ll have other conversations like this during the term, and I don’t want her to feel badly used. At other times, though, I detect in this silence the hint of an idea being formed. This is just an informed guess, of course, for I’m neither psychiatrist nor mind-reader, but I go with it, ignoring the sea of waving hands to wait a little longer for a response. If I’ve read the situation right, what the student says next isn’t part of a performance – I know the answer, that’s why I want to speak – but learning. (I recognize the voice of the gym trainer demanding another rep, repeating the mantra, “no pain, no gain,” and I marvel all the more at this student’s endurance.) It’s a rare thing, remarkable to witness, as if you could see connections being forged across synapses. 20. Sometimes when I ask a question, the silence is as thick as fog. As the seconds tick by, I think back over what I’ve asked, but unless I’ve totally muddled the question I let this silence hang. In any group of half a dozen, there’s someone in the room who will feel the need to say something, if only to break the tension, and someone else who’s using this silence for hard thinking. Never has so much as half a minute gone by before somebody speaks up, and we’re off. 21. Berkeley, where I teach, is widely regarded as the epicenter of political correctness. On affirmative action or abortion, environmental protection or immigration, only one viewpoint is supposedly tolerated. Yet I try to maintain a classroom where warring ideas on passion-evoking topics, civilly phrased, can live in peace. This is tricky business, since there’s always the possibility that students will confuse my questions with my convictions, producing a script that reads “K. is a fascist.” During one particularly delicate exchange, in the midst of a discussion about society’s moral obligations to people with AIDS, an African-American student spoke up. “Since gays are naturally promiscuous,” he said matter-of-factly, “they’d still be especially vulnerable to AIDS even if gay marriage were allowed.” Others in the class began to buzz with disapproval. One of them, whom I knew to be gay, looked as if he might explode. As a gay man myself, my instantaneous reaction was to feel as if I’d been slapped and, just as quickly, I conjured ways I could slap back. A nanosecond later, though, another approach formed in my mind. “Suppose I were to tell you,” I asked the black student, “that even if discrimination against blacks were ended, blacks would still do less well than whites because they’re naturally less intelligent. How would you respond?” I knew what I was saying and why, but still I held my breath. Even as I spoke I could envision the headline: “Professor Calls Blacks Less Intelligent Than Whites.” In this Gothic typeface, visible to my mind’s eye, I saw an unhappy turn to, if not the end of, my life as a teacher. But this student didn’t mishear me and didn’t react angrily. He just answered the question. “It’s simply not true that blacks are innately less smart than whites.” I suspect that the sigh of my relief could be heard in the third row. In classes as in any relationship, trust can’t be decreed by a professor; it takes time. Perhaps all those times during earlier explorations of potentially explosive topics, when I’d sheltered students who had expressed unpopular ideas from the rebuke of their classmates, I had built up a reservoir of trust that allowed this provocation. “How do you know?” I asked this student, and at that instant, he got the point. You could almost see, as in the cartoons, an Aha! light bulb glowing over his head. 22. On good days, when the room is buzzing, when students walk out the door after class continuing the conversation or crowd around with more questions, more things to say than class time permitted, I believe that teaching is my true calling. On the not-so-good days, when I’ve been as busy extracting as a cut-rate dentist, I’m far less sure. No matter how well prepared I am, how excited about the issues of the day, how in tune I’ve been with my students in past classes, there’s never a guarantee that any particular day will be a good day. 23. A week into the fall term, I was lamenting to my teaching assistants that I’d bungled the first session of my undergraduate Ethics and Policy course. After spending a half-hour describing what the course was about, I’d handed out a short article about the meanings of tolerance, which we then discussed for the balance of the session. My ambition was to demonstrate, with a bit of show-and-tell, how the class would be conducted, but I hadn’t sufficiently focused the discussion. Consequently, it wandered all over the place, from democracy as the highest value to the absence of a distinction between speech and action, from cigarette smoking to neo-Nazis, as students talked past one another in a parade of non sequiturs. To my surprise, the TAs vehemently disagreed. The class was vibrating, they insisted, there were always hands raised, people eager to be heard. The open-endedness of the session, which I’d regarded as messiness, they saw as contributing to the liveliness of a session meant as a wake-up call. Were we sitting in different classrooms or just different seats in the same class, I wondered? Or was this a case of: “So how did your class go?”/”I gave a terrible conversation”? “What’s nice about the piece,” says another, “is how you’re still willing after all this time to admit how much you don’t know.” A third colleague has his own lament: “‘Classes where nothing goes right’: tell me about it! I tried something today and now all the students hate me. To me that’s a signal I’m doing the right thing.” I notice that he’s neither giving me details nor asking for my opinion. 25. Sometimes in seminar discussions about a student’s work, I’ll make what I regard as a straightforward comment, only to realize that the message hasn’t registered. It’s not that the student and I have a disagreement – we’re not that far along. Perhaps I haven’t been clear; or maybe this is one of those ideas that only registers the second or third time around; or perhaps the student is too invested in a point of view to even hear what I’m saying. I search for another way to make my point, and while sometimes that succeeds, it often doesn’t. I’d open up the student’s head if I could, to pour in my thoughts, but it doesn’t work that way. I inquire whether there’s someone else who’s willing to translate for me. When a student takes up the thread, almost invariably those words do get heard. I could swear that we’re saying the same thing, and sometimes we really are. 26. I’m fortunate in the students I teach, especially those bound for careers in the public sector. Mostly, they’re intellectually engaged, curious, willing to follow lines of discussion that don’t seem to have an immediate payoff. While they want to see practical implications, ideas that make a difference, they’re also ready to be persuaded that theory, story, and analysis all have their place in a practical world. These public policy students have aligned their ambitions to their rhetoric. (In that respect, they differ from the sad-faced law students I’ve instructed, who talk a socially progressive line while knowing that they’ll soon be paddling themselves to the highest and often the most anti-social bidder.) While they want careers where they can make a difference, they know, as my generation didn’t, that they won’t win the revolution single-handedly or overnight. I’m impressed as well by how respectful they are of one another’s concerns. Gay and straight, they turn out in numbers for events put on by a student group called Pink Think; white and non-white, they organize conferences on issues like affirmative action and immigration. They aren’t angels, of course – who could stand teaching a classroom full of angels? – but they work hard and don’t whine. It might surprise them to discover that I work harder and care more because of my admiration for them. These students merit the respect of colleagues-to-be and so, in a Mr. Chips mood, I tell them that it’s a privilege to be teaching them. They’re stunned and disbelieving, so unfamiliar is praise from professors, mostly too busy as information-providers or judges to be enthusiasts. Though the content of X is always different, one thing remains the same. I never remember having said X. Perhaps I never did: perhaps X is one of those potent Rorschach ink blots that teachers hold up for viewing. 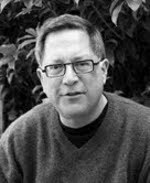 David Kirp, the James D. Marver Professor of Public Policy at the University of California-Berkeley, is the author of Shakespeare, Einstein, and the Bottom Line: The Marketing of Higher Education and the winner of Berkeley’s Distinguished Teacher award. This article was originally published in CHANGE magazine. Next Next post: Is Cheating by Colleges Just Another Clever Marketing Ploy?